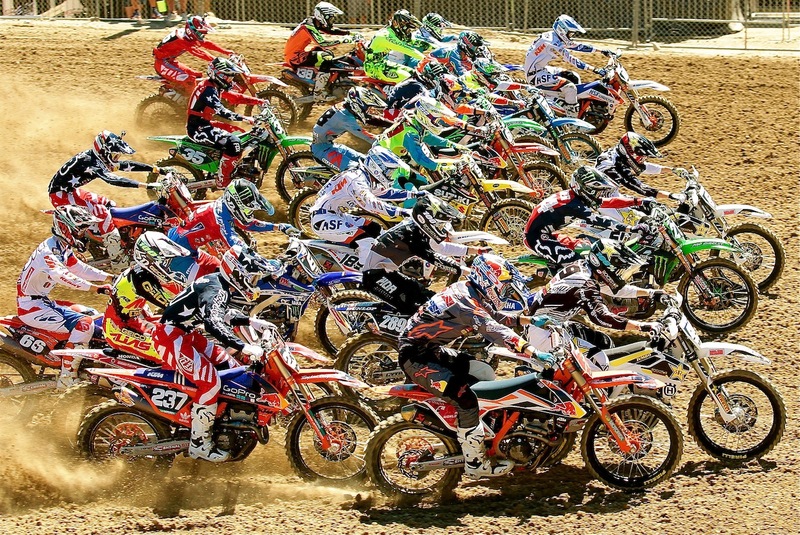 MOTOCROSS ACTION PHOTO OF THE DAY: WHERE IS THAT HERLINGS KID? That is Jeffrey Herlings in the lower right. The 2016 USGP was Jeffrey’s final 250 GP before moving to the 450 class in 2017. The top three at Glen Helen were Jeffrey Herlings (1-1), Jeremy Martin (2-2) and Mitchell Harrison (5-5). It was Austin Forkner’s first big Pro race and he had a strong third in third in the first moto (he had issues in moto 2). Forkner is the third over from the bottom right in the Monster Energy helmet and Fox gear. He was number 214 at the USGP. On Forkner’s left , with the lead, is Thomas Covington. Rider number 237 (bottom left) is Justin Hoeft. ASK THE MXPERTS: WHERE CAN I GET A CONE PIPE FOR MY CRF450 FOUR-STROKE?